As I covered in this earlier post, last summer Hurtigruten and Norwegian broadcasting (NRK) had half of Norway glued to their television sets enjoying MS Nordnorge's voyage from Bergen to Kirkenes. 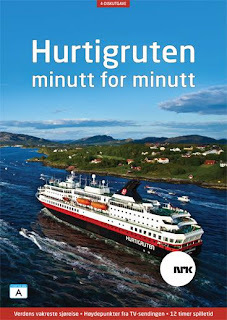 A lot of people outside Norway also joined in via the Internet, and were able to participate in the celebration of Hurtigruten by coastal communities all along the Norwegian coast. What a memorable five days! For those who missed out on the broadcast, or just want to preserve the voyage for future enjoyment, a DVD has been released by NRK. Of course, it doesn't contain the whole five days voyage, instead the most beautiful parts have been selected, resulting in twelve hours of Hurtigruten. 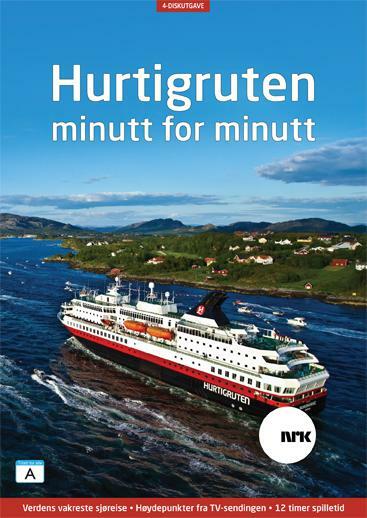 You can purchase the four DVD's at Hurtigruten's webshop. "The five and a half day journey from Bergen to Kirkenes captures spectacular fjords, midnight sun and genuine unspoiled Norwegian nature." Enjoy! Written by Skipskatta time: 1:19 p.m.